Our service package is designed to be transparent, simple and provide outstanding value. No matter how old your Nissan is our prices are fixed. You simply choose from a major or minor service for a petrol (from £189), diesel (from £209) or EV (from £129) Nissan, and in return receive fantastic added benefits. Why not book now by hitting the button below? Or continue reading to see how all the little things can add up. For a service you can trust take up Nissan Service Care. 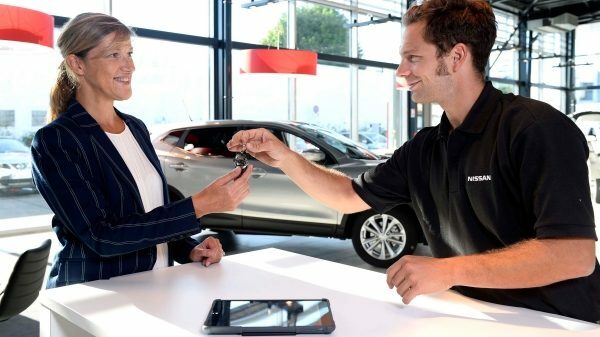 If our trained Nissan technicians identify an issue they’ll film it and email you a personalised video so that you can make an informed decision on any work. Our teams of highly-skilled technicians have attended specialist training courses, so they know everything there is to know about servicing and repairing Nissans.